David Hershberg, CEO, has announced the launch of STS Global Inc. (www.stsglobal.com/) The new company will provide state-of-the-art satellite communications and other telecommunication products and services to broadcasters, media, governments and other private enterprises across the world. Solutions will include network design, integration, management and maintenance. STS Global will reside in the CEWIT (Center of Excellence in Wireless and Information Technologies) Building at Stony Brook University in New York, where it will participate in its incubator program and work closely with the university. STS Global capabilities include broadcasting live events, supporting new media broadcast centers, secure private networks for large corporations and the complete range of satcom possibilities from better wireless connections to tighter cyber security. By adding sophisticated SATCOM to today’s widely developed terrestrial technologies, STS Global creates unique systems that can provide reliable services anywhere on earth. Customers will appreciate the Cost/Value approach, 24/7 dependability, training and support to achieve peak performance. 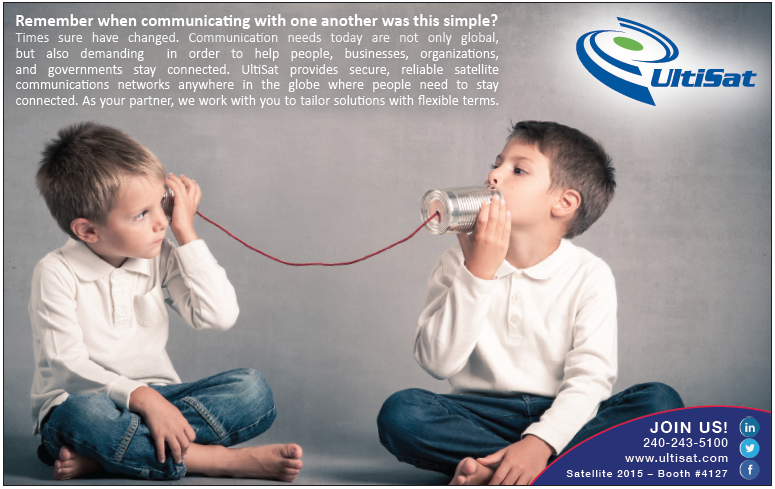 STS Global will be at booth #7127 at Satellite 2015 in Washington, D.C. March 16-19. The Sicral 2 telecommunications satellite, a joint undertaking of the Italian Ministry of Defense and the French defense procurement agency DGA (part of the Ministry of Defense), has arrived safely at the Guiana Space Center in French Guiana for an Ariane 5 launch on April 15th. 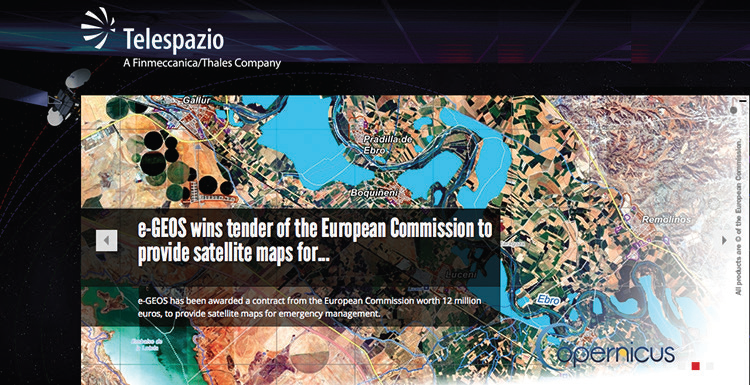 After being developed at the Thales Alenia Space plants in Rome, l’Aquila, Cannes and Toulouse, the satellite has been integrated in Rome and Turin facilities and then underwent environmental tests at the company’s plant in Cannes. The satellite isl now undergoing final tests and pre-launch procedures at the Guiana Space Center. Sicral 2 is one of the basic building blocks in Italian-French defense cooperation. It is a technological state-of-the-art system, designed to bolster the military satellite communications capabilities already offered by Italy’s Sicral 1 and Sicral 1B satellites, and by the Syracuse system in France. Sicral 2 is a joint program funded by the Italian and French Ministries of Defense, with shares of 68 and 32 percent, respectively, as part of a broader Framework Agreement between the two countries. This agreement also involves the countries’ space agencies and recently led to the launch of the dual-use broadband communications satellite, Athena-Fidus. The satellite weights 4360 kg with 7KW power and will host a UHF and SHF payload for the Italian mission, a SHF payload for the French mission as well as a payload for remote control, Telemetry and Ranging with use of Expanded Spectrum modulations. Artistic rendition of the Sicral 2 satellite. Image is courtesy of Thales Alenia Space. Thales Alenia Space is the main industrial partner in the Sicral 2 program. In line with its role on the Sicral 1 and Sicral 1B missions, Thales Alenia Space was responsible for the space segment, the system ground segment architecture and the development of the mission control and communication center. Telespazio is involved in the ground segment for the design, realization, integration and testing phases of the Satellite Control Center in Vigna di Valle and Fucino. Moreover, Telespazio took an active role in the development of Sicral 2, contributing part of the development costs and receiving in turn the use of part of the satellite’s transmission capacity. 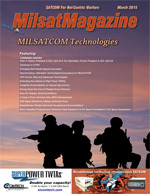 It will enable it to offer satellite communications to the armed forces of NATO member countries. Telespazio is also responsible for satellite launch service from Kourou, for early orbit services (LEOP—Launch and Early Orbit Phase) and for satellite first In-Orbit Tests (IOT) from Fucino. The Sicral 2 system will strengthen strategic and tactical satellite telecommunications for both France and Italy, guaranteeing interoperability with existing satellite resources, NATO allies’ terminals and national telecommunications networks. COM DEV International Ltd. (www.comdev.ca/) has revealed that exactEarth Ltd. has presented its shareholders, COM DEV and Hisdesat Servicios Estrategicos S.A. (www.hisdesat.es/index2.html), with strategic growth plans that are expected to expand its existing vessel tracking business into the much larger maritime data services market. Given the success of exactEarth in developing the satellite AIS (Automatic Identification System) data services market, COM DEV and Hisdesat are supportive of these strategic growth plans. Accordingly, exactEarth has retained Canaccord Genuity to advise its Board of Directors on implementation of private and public funding options as well as potential merger and acquisition opportunities. In light of the central role of exactEarth in COM DEV’s core strategic plan, as well as successful progress on other strategic initiatives including its acquisitions and dividend policy, COM DEV is also taking steps to refresh and update its strategic plan. As part of this initiative COM DEV has retained Canaccord Genuity in a separate engagement. “The strategic options under consideration for exactEarth will be instrumental in helping it reach its full potential, while at the same time unlocking significant value for COM DEV’s shareholders,” said Michael Pley, CEO of COM DEV. The U.S. Army is fielding the General Dynamics-built Warfighter Information Network – Tactical (WIN-T) Increment 2 to the 2nd Stryker Brigade Combat Team, 2nd Infantry Division (2/2 SBCT) at Joint Base Lewis-McChord, Washington, and the 1st Stryker Brigade Combat Team, 1st Armored Division, Fort Bliss, Texas. 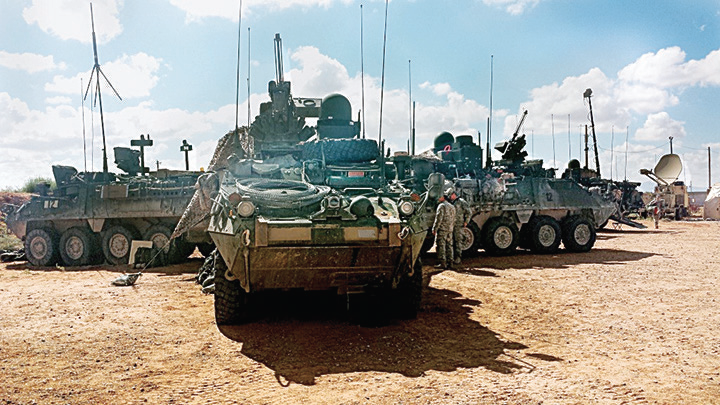 The 1st Armored Division Stryker Brigade trains on the U.S. Army’s Mobile Network. Photo + story courtesy of Amy Walker, PEOC3T. (BCT) and four division headquarters. WIN-T is the Army’s top-tier, mobile command and control system that connects and protects voice and data communications to support the full spectrum of Army operations worldwide. General Dynamics Mission Systems’ engineers and technology experts are working continuously to make the WIN-T Increment 2 system easier to use, while reducing the size, weight and power needs of the system overall. Ideas and suggestions for system improvements come from soldier feedback during evaluation events, from soldiers returning from their deployments and from training activities both at home base and at the Signal School at the Cyber Center of Excellence at Fort Gordon, Georgia..
More information about WIN-T, tactical radios, satellite communications and the cyber-defense products that make up the Soldier’s Network is available at www.thesoldiersnetwork.com/. General Dynamics (NYSE: GD) combined the resources of Advanced Information Systems and C4 Systems into “General Dynamics Mission Systems” on January 1, 2015. The Space and Missile Systems Center, along with the Airmen from the 460th Operations Group, successfully commanded on-orbit missile-warning satellites from its new Space Based Infrared System (SBIRS) ground system, currently in development. 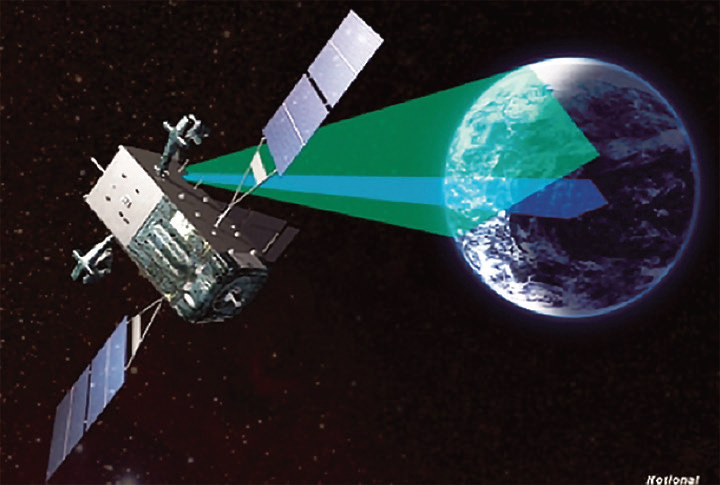 Artistic rendition of SBIRS. Image is courtesy of Lockheed Martin. Geosynchronous Orbit (GEO). This marks a major risk reduction milestone as the Air Force plans to transition full missile-warning operations to the Increment 2 system in 2016. The Increment 2 ground system will replace the existing Increment 1 ground system, which has been operational since 2001. Under the Increment 1 system, the three satellite types are controlled via three separate ground software systems located at separate facilities. Under the Increment 2 system, all operational control will be consolidated under one primary Mission Control Station (MCS) with a single backup control station. Increment 2 will also introduce a significant increase in performance capability across its four mission areas: missile warning, missile defense, battlespace awareness, and technical intelligence. The SBIRS program is managed by the Remote Sensing Systems Directorate at the U.S. Air Force Space and Missile Systems Center. Lockheed Martin Space Systems Company, Sunnyvale, California, is the SBIRS prime contractor, and Northrup Grumman Electronic Systems, Azusa, California, is the payload integrator. The 460th Space Wing at Buckley AFB in Aurora, Colorado, operates the SBIRS system. The SBIRS program delivers timely, reliable and accurate missile warning and infrared surveillance information to the President of the United States, the Secretary of Defense, Combatant Commanders, the intelligence community and other key decision makers. 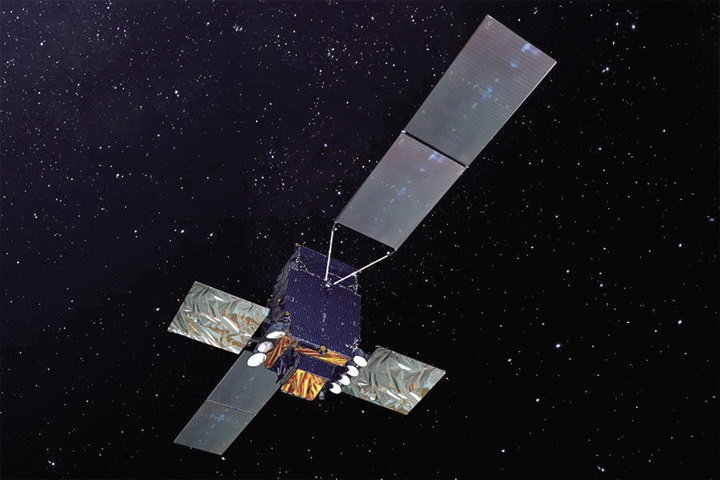 Inmarsat Government has announced that its new L-band Airborne Intelligence, Surveillance and Reconnaissance (LAISR) service has completed successful customer airborne testing and will be available for U.S. government customers by June of this year. This innovative new LAISR service will meet the high-speed, beyond line-of-sight (BLOS) connectivity requirements of Airborne Intelligence, Surveillance and Reconnaissance (AISR) missions across the globe. LAISR allows transmission of high definition full-motion video and data from a variety of manned and unmanned aircraft, providing full situational awareness for the military and intelligence community. 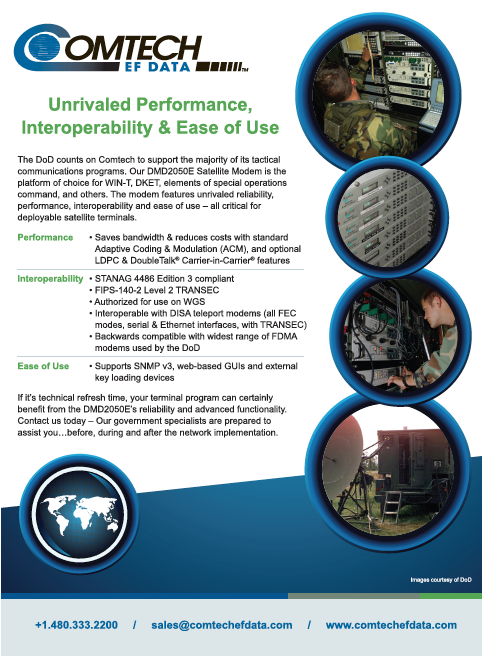 The service uses an integrated terminal that provides a simplex broadband return link to support AISR mission requirements and a full duplex channel for command and control. This capability can easily be added to existing platforms supporting Inmarsat SwiftBroadband service. Operating in L-band ensures the highest availability of service allowing aircraft to fly over urban, mountain and jungle environments, at low altitudes, in cloud cover and in dense rain. Inmarsat Government has pioneered a unique capability with LAISR in providing uniform high-throughput AISR capabilities throughout the complete coverage area of the Inmarsat Alphasat and Inmarsat-4 (I-4) satellite constellations. This unique capability is enabled through the LAISR Network Management System, providing dynamic beam switching and frequency allocation across the 600 active narrow spot beams globally. “LAISR is a game-changing SATCOM service for AISR,” said Susan Miller, president and CEO of Inmarsat Government. “It has multiple benefits and applications that are unmatched in the industry, and will operate on Inmarsat’s advanced Alphasat L-band satellite, covering Europe, the Middle East and Africa, with further plans to operate globally on Inmarsat’s extended L-band fleet. Today’s volatile and rapidly changing world requires increasingly sophisticated AISR capabilities, and we’ll soon be offering this new LAISR service in support of our U.S. government customers and channel partners,” Miller concluded. The French Defence Procurement Agency (DGA) has awarded Thales a contract to supply a further 20 ground terminals as part of the Syracuse III satellite program (satellite-based radiocommunication system) is a series of satellites that enables French forces stationed in France or deployed overseas to access best-in-class satellite telecommunications services with throughput and anti-jam protection. Installed on VAB light armored vehicles, these SATCOM terminals will operate as fully-functional network nodes for France’s satellite communications on-the-move capability. The 20 terminals will be delivered from early 2016 to mid-2017. the move in the theater. The command vehicles communicate via the Syracuse system, which connects them directly to other deployed assets. With Satcom OTM technology, vehicles fitted with satellite antennas can establish and maintain a satellite link whether they are moving or stationary. 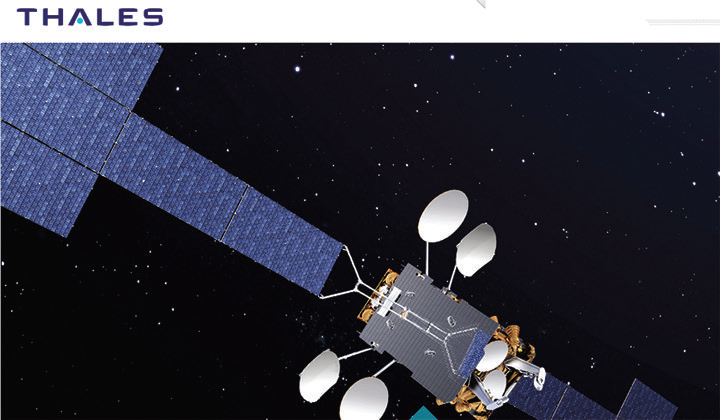 The innovative Satcom OTM solution from Thales complements other radiocommunication systems and has standard interfaces to connect other tactical communication equipment for higher data rates and overall availability. By providing a permanent command communication capability in the theater of operations, the solution meets the requirements of ground force units on-the-move in terms of information exchange and force protection. This latest contract award is an endorsement of newly developed active antenna technology with electronic scanning, which offers better coverage and availability than conventional parabolic antenna solutions. The contract for the first 10 stations was awarded by the DGA in 2009 as part of an urgent operational requirement for Afghanistan. The 10 VENUS terminals delivered in 2010 have been deployed in Afghanistan and Mali, where they provided front-line vehicles with a permanent tactical communication capability in environments where other communication systems were unable to operate due to range limitations or terrain features such as, deep valleys and high mountains. Users have appreciated the performance and dependability of the Thales solution and its ability to operate in all types of terrain. After studying the recent explosive break-up of a U.S. satellite, ESA space debris experts have concluded this event does not increase the collision risk to nearby ESA missions in any meaningful way. 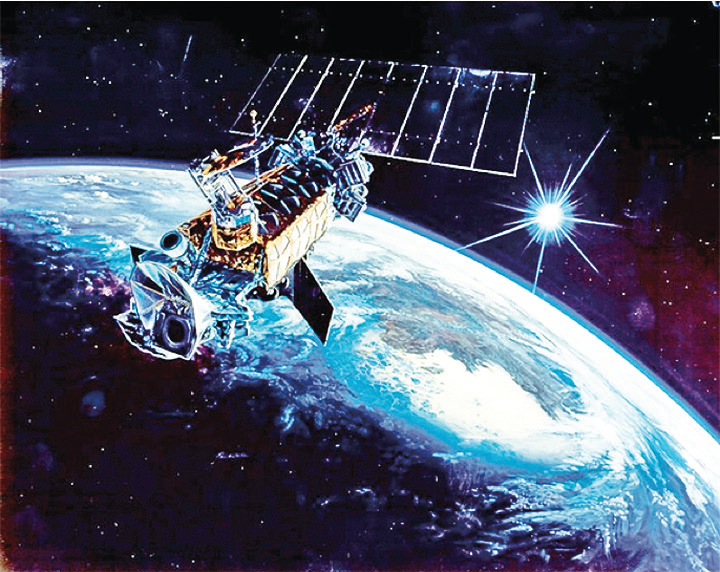 A U.S. Air Force Defense Meteorological Satellite Program (DMSP) satellite, a military weather satellite located in LEO. Image courtesy of U.S.A.F. ESOC serves as the Operations Control Centre for ESA missions, and hosts our Main Control Room (shown here), combined Dedicated Control Rooms for specific missions and the ESTRACK Control Centre, which manages our worldwide ground tracking stations. ESOC also hosts facilities for satellite communications, navigation, networks and other special functions. Satellite fragmentations are typically triggered by break-ups of tanks or batteries caused by remnant onboard energy sources under the influence of the harsh environment in space. 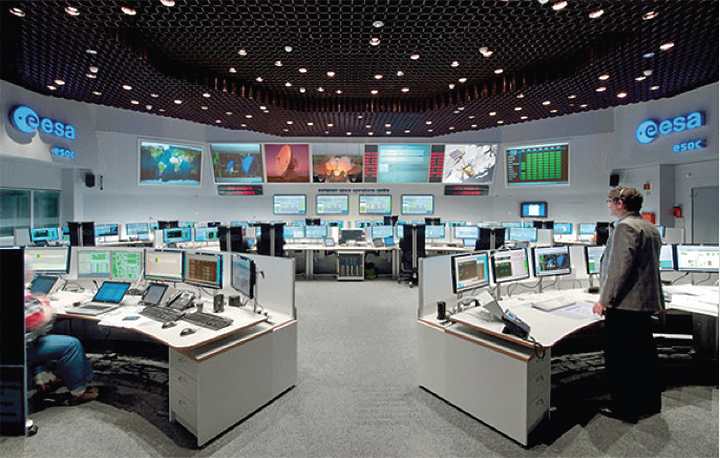 ESOC serves as the Operations Control Center for ESA missions, and hosts the Main Control Room (shown here), combined Dedicated Control Rooms for specific missions and the ESTRACK Control Center, which manages the worldwide ground tracking stations. ESOC also hosts facilities for satellite communications, navigation, networks and other special functions. Seventy percent of all cataloged objects are in Low Earth Orbit(LEO), which extends to 2000 km above the Earth’s surface. To observe the Earth, spacecraft must orbit at such a low altitude. The spatial density of objects increases at high latitudes. The dispersion of the fragments associated with the DMSP-13 event is fairly large—however, the largest concentration of fragments resides near the altitude in which the satellite operated. This is still about 100 km above ESA’s satellite constellation. The fragments will slowly decay over the years and decades to come. ESA’s Clean Space initiative—tasked with reducing the environmental impacts of the space industry on both Earth and space—is looking into the technology to mitigate the debris levels in heavily-trafficked LEOs. At orbital velocities, even a 1cm nut could hit a satellite with the force of a hand grenade. Simulations of orbital debris show that actively removing large items of debris, such as entire derelict satellites, should help stabilize its population and prevent a collision-based cascade effect. ESA has performed a system study for an Active Debris Removal mission called e.Deorbit.